The Bahamas feature more than 2,000 islands and cays, many of which are uninhabited. They are scattered in a rough arc over a large corner of the Atlantic Ocean, from 50 miles off the coast of Florida in the northwest to 60 miles north of Haiti at the south-easternmost point. If you’re travelling from island to island the main way to get around is by boat, which is the cheapest, most frequent and most flexible mode of transport. The simplest way to divide the Bahamas is to break it down into 16 islands and archipelagos, each with something special to offer, whether you want colourful resort life or seclusion and serenity. Permanent home to only 350 people these two remote islands to the southeast of the archipelago are off the maps of most tourists, which only heightens their appeal for visitors with a nose for adventure. The beaches are pristine and secluded, and the seafood is exquisite. If you’re a diver then you’ll be in heaven here. Separating the two islands is a lagoon, the Bight of Acklins, and the waters around both islands are full of wildlife and interesting geology. The largest island in the Bahamas but simultaneously its most sparsely populated, Andros is all about nature and wildlife. If you and your spouse-to-be like the idea of diving, kayaking, fishing or snorkelling then look no further than this island for your special day; here there’s the third-largest barrier reef in the world, numerous blue holes (underwater caves that reach staggering depths) and the largest National Park System in the Bahamas. For relaxation there are miles of secluded white sandy beaches, some of which remain undisturbed for days on end. On the western side of the Bahamas, Bimini is the closest part of the archipelago to the United States. Naturally this makes it convenient for couples heading from Florida to get married, but there’s plenty more to recommend it. Ernest Hemingway picked Bimini for his summer residence, and Martin Luther King Jr. is said to have composed his Noble Peace Prize acceptance speech while sailing the tranquil local waters. Off the North Island is one of the Caribbean’s most famous scuba diving sites—Bimini Road, a long, naturally formed strip of limestone slabs that has the uncanny appearance of being manmade. Said to have been named after an 18th-Century pirate, Cat Island has a reputation for its perfect climate. Sitting on the Tropic of Cancer winters are soft and pleasant, and summers are warm without being uncomfortably hot. It also has the most varied topography in the Bahamas, with forest-clad hills that are snaked by walking trails and contain interesting historical fragments, such as the centuries-old hermitage atop Mt. Alvernia. Alternatively you could settle back on a secluded beach bathed by clear waters and enjoy quintessentially Caribbean scenes. Known for a farming heritage that goes back to the mid-1700s, Eleuthera produces some of the best-tasting pineapples in the world. It’s an island covered in rich greenery and made all the more picturesque by its architecture—quaint New England-style houses built by English loyalists who left America after the revolution. The islands are exposed to Atlantic on their eastern side and have gentle tides on the west. Few wedding settings can be more eye-catching than the famous pink sandy beaches of Eleuthera and Harbour Island. On the northwestern side of the archipelago, Grand Bahama Island has it all. If you’re in search of luxury for your special day then this island offers a host of exclusive resorts next to sumptuous beaches. Underwater explorers can delve into one of the largest networks of underwater caves on the planet. And for ornithologists the birdlife is astounding—Grand Bahama boasts the second-largest number of native bird species of any Bahaman island. Peak season is October to May, and one of the best places for bird-spotting is the Rand Nature Centre, a 100-acre National Park made up of pine forest and coppice. Another of the Bahamas’ world-class ecotourism destinations, Inagua also shines for its abundant birdlife. It provides a habitat for tens of thousands of West Indian flamingos, but there are also significant numbers of pelicans, ducks, parrots and numerous other species not found anywhere else in the archipelago. The natural splendour isn’t restricted to birdlife; Little Inagua Island is a vital reserve for sea turtles, and has the benefit of an offshore reef to protect this endangered species from water traffic. Extending for 80 miles, it’s easy to see how this narrow island got its name. Long Island features some of the Bahamas’ most exciting topography, with tall cliffs on the Atlantic coast on the east side. Other natural wonders to seek out include Hamilton’s Cave, which has pre-Columbian cave paintings, and Dean’s Blue Hole, with a depth of 200 metres. For classically Caribbean wedding photos, Long Island’s beaches on the west side have the picture-postcard white or pink sands and waters that are calm and clear. An ideal spot for a ceremony away from prying eyes, Mayaguana is on the southeastern end of the Bahaman archipelago, Mayaguana is possibly the most remote and secluded of all the main islands. This gives it a low-key rural flavour, with fishing villages positioned at intervals along the coastline, interspersed by outstanding beaches that remain practically deserted throughout the year. At Northwest Point there are exciting underwater caves to explore and across the island you can spot native species like iguanas, brown boobies and the hutia, a large but cute rodent. Here you’ll find the capital and largest city in the Bahamas, where 80% of the country’s population resides. Nassau was home to large numbers of pirates until they were thrown out in the early-18th Century. Today it’s an attractive and laid-back city, with streets of houses painted in pastel colours and several historical monuments such as Fort Fincastle. Paradise Island is off the coast opposite the city and blends gorgeous natural scenery with the Atlantis resort, which boasts a casino, golf courses and numerous family attractions. Towards the south of the archipelago, Ragged Island is among the smallest inhabited islands in the Bahamas, with a population well below 100. For people getting married here it means deserted beaches, unblemished coves and a host of tropical island activities to complement your big day. Fishing supports the local economy and is particularly good here, with large stocks of tuna, barracuda and grouper in the waters around the island. An island with a tiny population, Rum Cay serves mainly as a harbour and stopover for pleasure boaters. This in fact was the role it played more than 500 years ago, when Christopher Columbus made a stop here on his way to the New World. There are reefs here protecting perfect white sandy beaches boasting transparent waters. This stunning island is also linked with Christopher Columbus, who gave San Salvador its name after making a stop here in 1492. The island’s unusual and arresting scenery is partly down to its interesting geology; San Salvador is just the tip of a huge mountain that rises some 5,000 metres from the ocean floor. The clear waters around the island are known for their profusion of dive sites; you can explore archaeological features, shipwrecks and reefs that teem with underwater life. The numerous small islands and cays that cover a total area of 650 square miles make The Abacos one of the best places in the world for boating. You could get married at adorable historic towns like New Plymouth and Hope Town and then set off on island-hopping expeditions to discover some of the very best beaches in the world. At Treasure Cay there’s a gentle curve of perfect white sand, 3.5 miles in length. The best place to get to The Abacos’ seafaring heritage is Man-O War Cay where vessels have been hand-made for centuries. 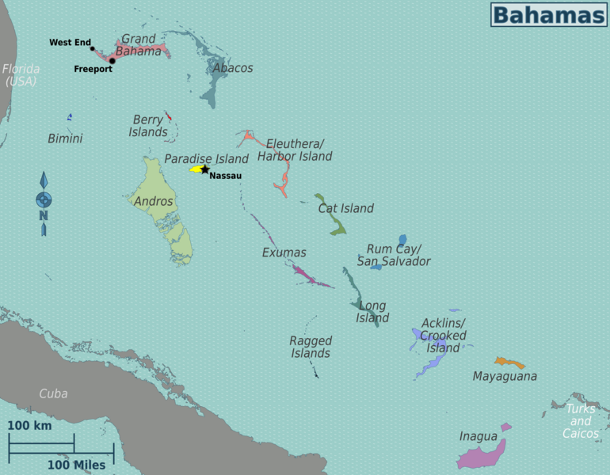 This portion of the Bahamas boasts 30 cays of varying levels of inhabitation. A cay is a flat tropical island formed of a reef, and the beaches on these islands are lovely, with clear, turquoise waters and gentle slopes that allow you to swim ashore to them from boats and yachts. Great Harbour Cay has a championship golf course and deserted sandy beaches, the pick of which is Sugar Beach, considered one of the loveliest spots in the whole of the Bahamas. A long archipelago of 365 sheltered islands and cays, this is a paradisiacal place for wedding, and is home to some of the wealthiest people in the world. For truly unblemished nature see the Moria Harbour Cay National park, where untouched beaches, mangroves and dunes serve as a habitat bird and ocean life. A truly sublime tourist beach can be found on Little Exuma—Pelican beach is on a bay with that perfect combination of gleaming white sands, crystalline turquoise water. 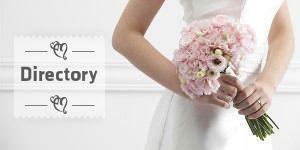 Find out more about getting married in the Bahamas in our Bahamas Wedding Guide or browse our Bahamas Wedding Directory to start planning your dream wedding.